Give the gift of PIES & JOY this holiday season! With nothing like sweets during the holidays, gifting couldn't be made more simple than with our Holiday Gift Guide. 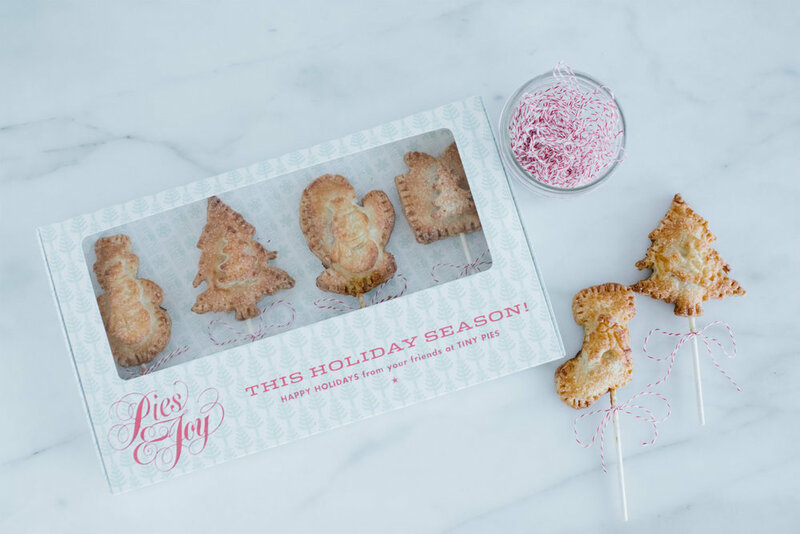 Featuring our signature Holiday Tiny Pie 12-Pack to our newest Pecan Pie Bites (sweet, snackable bites 'o pie) there's surely something for everyone on your list. Just like grandma used to make only much much (much much) smaller. Available in 6, 12, or 24 packs. 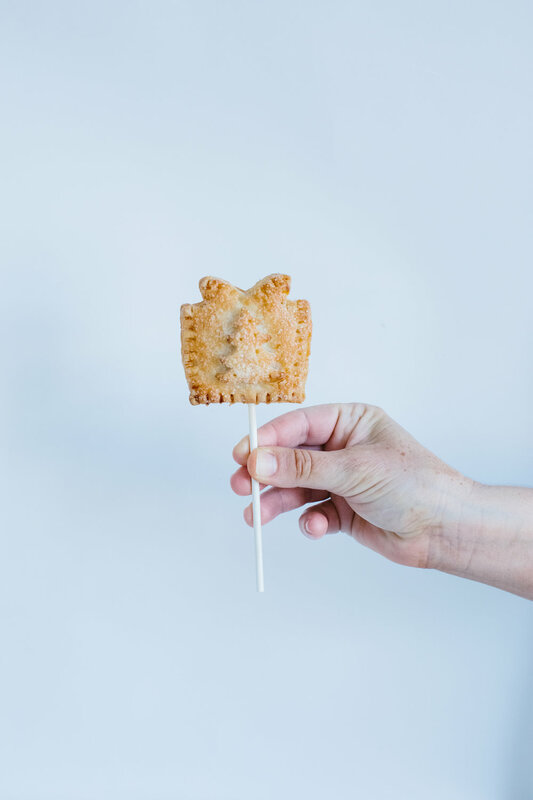 These 12-Packs of our signature individually-portioned Tiny Pies come decorated as pictured, complete with three each of the following flavors: Texas Two Step (chocolate brownie and pecan pie mix), Apple, Traditional Pecan, and Cherry. Traditional, simple, delicious. Serves 6-8. 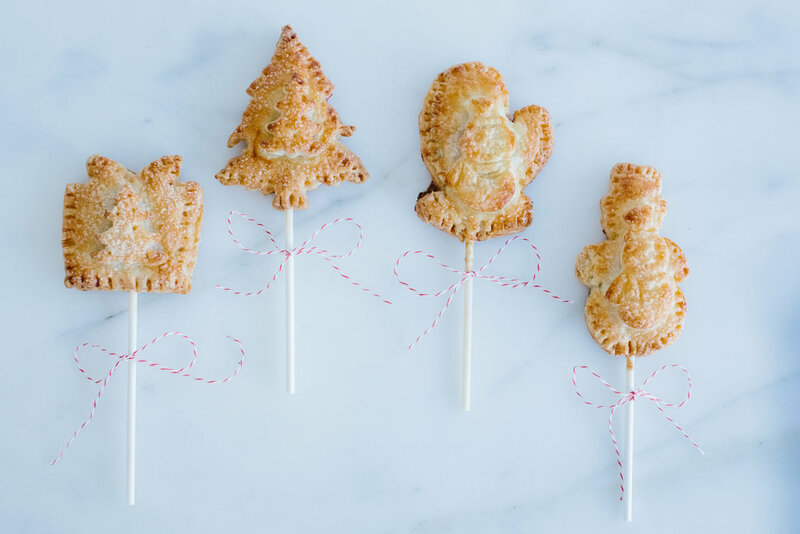 Pie on a stick, yes! Adorned as mittens, snowmen, gifts, and a tree. Shipping available. Click below to order now or click here to view the full Holiday Gift Guide.